Somya is worried about Krishna’s future. For her sake, she doesn’t want to tell Yuvraaj about Suhani. Yuvaan prays for Suhani to get well soon Both Yuvaani and Yuvaan pray for each other’s mother too. Sambhav writes some notes to apologize to Suhani. He gave her flowers and a sorry card and leave. Suhani recalls her past moments. Bhavna sees her upset . Yuvraaj came to know that his rival company back out from the deal. Somya is worried about Krishna and shares her concern with Yuvraaj. She asks for Krishna’s future security. Yuvraaj calls to his lawyer. All children are sitting on the hillside. A student among those teases him. Yuvaan pulls him and they start fighting. Yuvaaj’s lawyer is stopped by Menka and she asks about his arrival reason. He says Yuvraaj asks me to make an FD in the name of Krishna. Menka and Yuvraaj argue on this. She calls Dadi. Suhani tries to concentrate on his work but she missed. Bhavna asks her to let forgo what you have in your ind and then concentrate. Bhavna tries to convince her to move on and asks to give a chance to Sambhav. Menka asks Yuvraaj to made an FD for her son too. Dadi asks Yuvraaj to make a double amount FD for Yuvaani if he wants to make an FD for Krishna. Yuvaan and Yuvaani fights. Yuvraaj apologizes Somya for Menka’s misbehavior. Somya asks Yuvaan to convince Dadi for securing Krishna’s future. 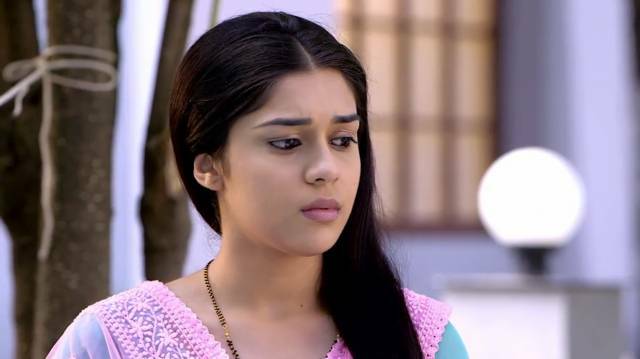 Bhavna asks Suhani to move on and try to accept Sambhav. But Suhani refuses as she only wants to concentrate on Yuvaan. Yuvaan is hanging downside hill. Yuvaani tries to rescue him. Bhavna and Yuvraaj got a call that their child is in a hospital. Yuvaan doesn’t get a donor. The doctor asks Sambhav to sign some papers as Yuvaan’s father. He agrees. A nurse takes Suhani to Yuvaani and asks her to donate blood. Suhani agrees and Yuvraaj agrees to donate blood to Yuvaan. Suhani is talking to Sharad over phone meanwhile Sambhav takes pictures of Suhani. She resists. Somya saw both of them happy with each other.